During the school year, our faculty and coaches may offer a variety of camps that take place on the weekends or during the week after school hours. Use the button on the right to register and view the current programs being offered. Due to the ongoing construction at the Maple Road Campus (Lower School) summer camp will be at our Village Campus (Junior School). 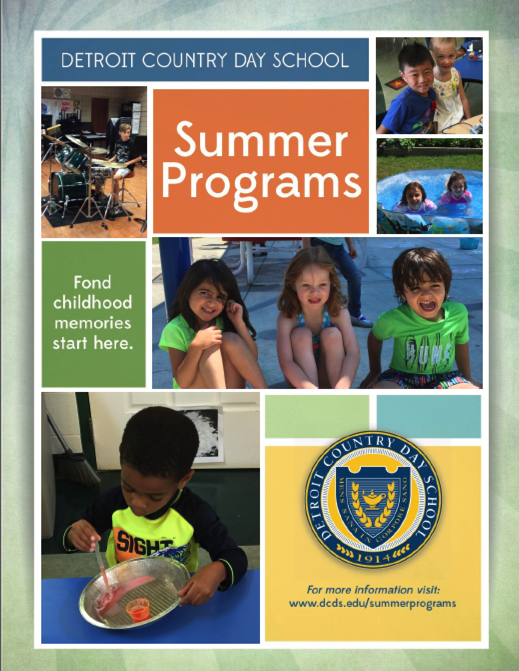 We have amazing summer camps taught by our teachers for children ages 5-10. Unfortunately, we will not be able to accommodate 3 and 4 year olds again this summer. Registration is now open. Tap book image below to see electronic book. Within the viewing screen , there is an option to download a printable copy. The registration has re-opened. We apologize for the inconvenience. Please note on flyer where to register for the camp. Registration is not through DCDS.